This is the story of 3 sisters who all get dumped on the same day. Ali was my favorite of the sisters. She gets dumped 2 months before her wedding and her fiance does not even do it himself. The more I heard of him I was all, you should have dumped him long ago. Finola was somewhat cold. She was just so career oriented. Of course that did not give her husband the right to cheat, talk people! I also feel that she clung to his memory too long. Zennie, well I do understand why her family and friends felt like she rushed into things. I felt like she rushed into things. Her friends wanted a baby, she said yes to being their surrogate. But even though it was her egg she never thought more of it. I mean that is your baby! That is not their baby, that is half their baby and half yours! Yes, awesome thing to do, but still your baby. They all deal with their own things as the story progresses, and with their mum getting rid of their old place. It was a more, oh I can not find the right word, not slow, just peaceful (still not the right word). The only real drama being when Finola found out the truth. I love that cover! And Ali sounds like a great character. Hm, I wonder if this would keep my interest. I love Mallery's books, especially the sister themed ones. I could never be a surrogate. That would be my child and there's no way I could just give it away. 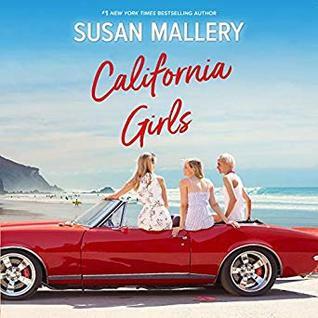 I haven't read Susan Mallery before. What are the chances that 3 sisters would be dumped on the same day? Sounds like it could be interesting though. Three sisters who get dumped all at once? I would not like to be in that house that day, lol! I think peaceful is a great word, I am reading a book right now that has a peaceful pace. I read this one but the audio sounds like a very good option. Yeah for Daniel! "3 sisters who all get dumped on the same day"...what are the odds? lol It sounds like a good read. I really like Tayna Eby / Tatiana Sokolov as a narrator. Sounds like a good book.